The swap brings people together to buy and sell cycling related items at the best prices. If you are looking for a specific bike-related item, it’s probably at the Swap. 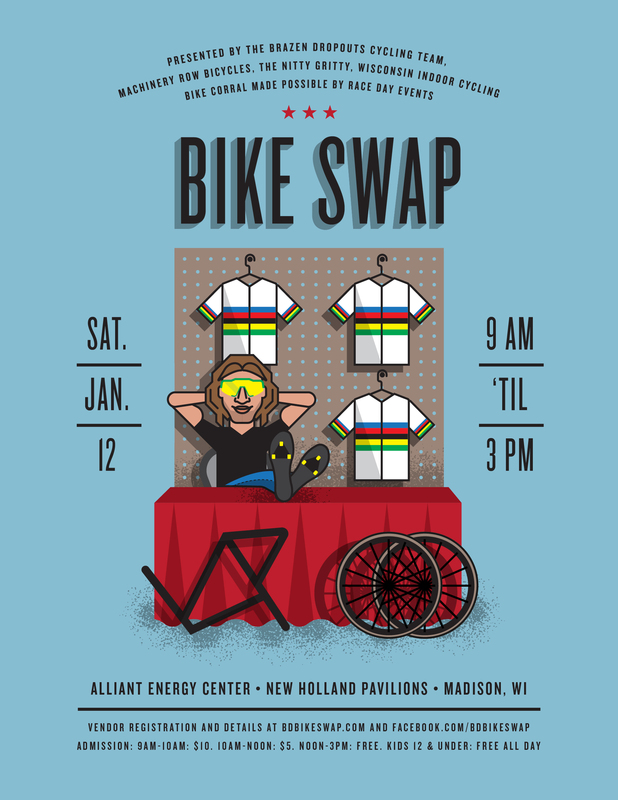 Presented by The Nitty Gritty, Machinery Row Bicycles, and Wisconsin Indoor Cycling, with the Bike Corral made possible by Race Day Events.